The clean label trend is being driven by consumer demand, operational efficiencies and the development of sophisticated food technologies that have simplified product formulas. However, developing consumer-friendly, simplified food and beverage products—with the desired clean labels on the packages—can be difficult for formulators. Fibersol® can help. Many consumers find comfort in simple labels and look for familiar ingredient names. Therefore, consumers themselves are determining what constitutes a clean label—with every dollar they spend while shopping for their families. Fibersol offers multiple label choices, allowing the formulator to choose the best option for desired product positioning. 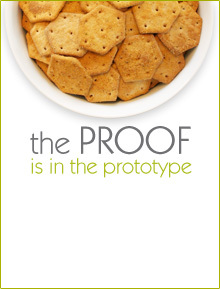 And, with more “friendly sounding” ingredient options, Fibersol can help position products as clean and simple. Fibersol is derived from U.S.-grown corn, with non-GMO Fibersol available as well. Fibersol®-2 can be labeled in the US as “soluble corn fiber” or “soluble vegetable fiber (corn)”. These statements may be modified with “Fibersol-2 fiber,” “soluble dietary fiber,” “dietary fiber,” “fiber,” “source of dietary fiber,” and similar phrases. Fibersol-2 has been recognized as GRAS by the U.S. Food and Drug Administration (FDA), certified kosher and pareve by the Orthodox Union, and halal-certified as well. Many consumers equate kosher and halalfoods with clean, simple formulation. Offering consumers better-for-you, “cleaner” options is more than just a trend; Fibersol products can help manufacturers meet their clean label goals. And Fibersol’s line of dietary fibers allows for fiber fortification with minimal formulation and process adjustments, while maintaining the desired finished product characteristics.